As a new year dawns, you may find you’re harboring illegal contraband that was–as recently as last year–the perfectly legal container for your takeout dinner. 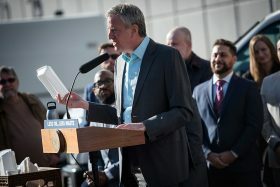 As part of Mayor Bill De Blasio’s Zero Waste campaign, manufacturers and stores may not sell or offer single-use foam items such as cups, plates, bowls, trays, or clamshell containers as of January 1, 2019. The foam ban joins more notable new legislation on the books as of 2019 including laws affecting minimum wage, cigarette sales, baby changing tables, paid family leave and gender options on birth certificates. 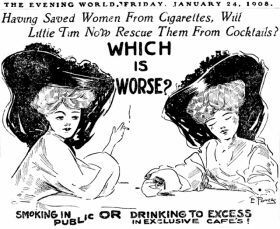 Though banning cigarette smoking in apartment building common areas is nothing new, New York City’s co-op and condo buildings have been voting to keep residents from lighting up even inside their own units, the Wall Street Journal reports. Co-op and condo lawyers say the sentiment in favor of clean, green air is growing, and tolerance for neighbors who smoke is at an all-time low. 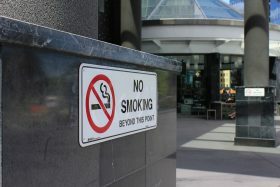 At the Century condominium at 25 Central Park West, a smoking ban went into effect in March after a two-thirds vote was achieved following a long–sometimes bitter–campaign.